Join the behind-the scenes team that makes it all happen. Volunteering with us is the perfect way to join a very dynamic, enthusiastic and fun team. You will meet new people and experience a memorable day of mud, sweat and cheers. Not only that, but there are many perks for volunteering with us. – If you volunteer at a Sprint Race you will earn a free Sprint race (valid for 12 months at any Sprint race, open heats only). – If you volunteer at a Super Race you will earn a free Sprint or Super race (valid for 12 months at any Sprint or Super race, open heats only). – If you volunteer at a Beast Race you will earn a free Sprint, Super or Beast race (valid for 12 months at any Sprint, Super or Beast race, open heats only). 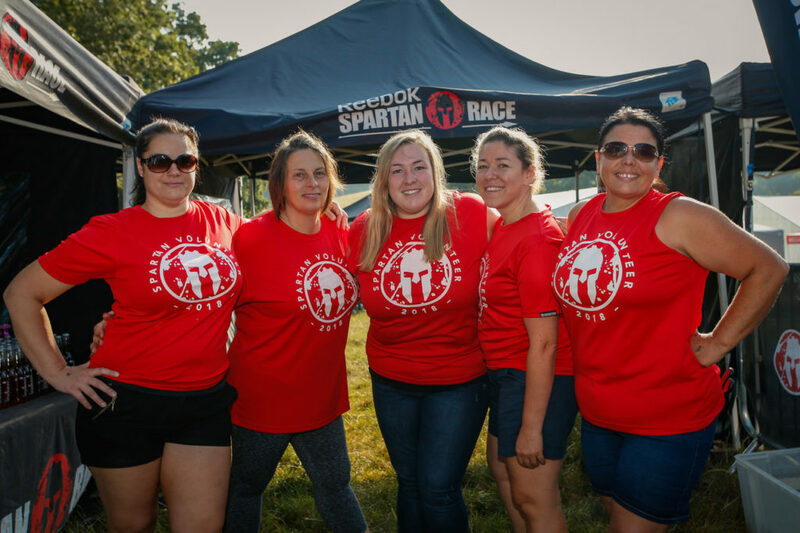 Volunteering at any Spartan Race is extremely rewarding and you don’t need previous experience to take part. We want you to be highly enthusiastic, motivated, feel comfortable volunteering in a fast-paced working environment and most importantly, to have lots of fun and have a great experience. Kids Race: Be involved with the kids aged 4-13 years old as they compete for glory as well! Position available on Sprint and Super events – there is no Spartan Kids Race on Beast events. Please click here to find the Spartan UK Crew Volunteers private group on Facebook and request to join. Here you can interact with other like-minded volunteers and me to discuss pre-race arrangements and post all your awesome race day photos! If you have any questions about volunteering at a Spartan Race please click on the red Help button in the bottom right corner of your screen, submit your enquiry and we will get back to you very soon.